Pearcedale CFA seniors team members from left, Andy Gray, Jack Harkness,Jay Downing, Mike Mitchell, Alistair Errey, Sharon Prentice, Terry Prentice, Robyn Murphy, and Lachie Gray. Firefighters from Pearcedale and Devon Meadows fire brigades faced a different kind of battle last weekend. This was no fire they were fighting. Rather, a test of their skills and prowess against each other in a set of drill competitions. The neighbouring CFA brigades competed in the annual Volunteer Fire Brigades Victoria state rural championships hosted in Warrnambool on April 7-8. This year the championships saw 60 senior teams from 29 brigades and 59 junior teams from 30 brigades compete against one another. 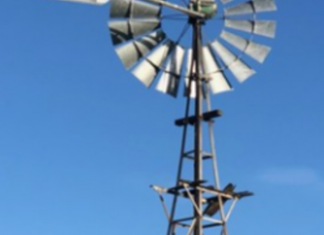 Pearcedale fire brigade member Robyn Murphy said unlike a real fire situation, the competition allowed for some friendlier opposition rather than mother nature. “The event is great for fostering team spirit and working together, as well as getting to know each other,” she said. Devon Meadows entered one senior team, while Pearcedale entered two senior teams including their over 50’s team for the third year running as well as one junior team. “We had the captains of both brigades competing this year,” Ms Murphy added. 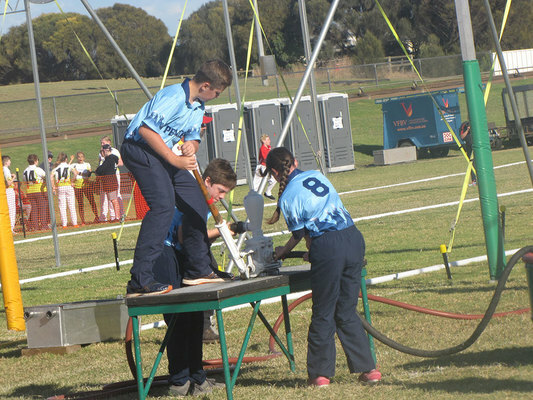 The teams competed in six events with Pearcedale taking out a silver medal in an event called ‘Squirty, Squirty’ while Devon Meadows collected fourth position in the ‘Hose and Ladder’ event. Ms Murphy said the competition develops teamwork and promotes comradeship amongst firefighters.